A series of resignations in the UK government, as well widening fears that UK Prime Minister Theresa May could fade a vote of no confidence, left the Euro to Pound Sterling (EUR/GBP) exchange rate climbing today. After spending most of the week trending with a downside bias on Italian political jitters, EUR/GBP surged over a cent on Thursday. At the time of writing, EUR/GBP trended near a November high of 0.8857. This put it over a cent above the week’s opening levels of 0.8739. The Euro’s (EUR) gains against a plunging Pound (GBP) were limited by Italian political jitters, as tensions between Italy and the EU have persisted since Italy refused to revise its budget plans. The Pound’s losses, on the other hand, were the most influential forex movement of the day. Concerns about the Brexit process and the stability of the UK economy left Sterling on track for one of its worst days of the year. 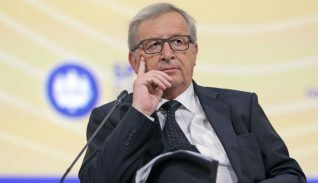 News that Italian officials were looking and working to avoid potential disciplinary measures from the EU supported the Euro on Thursday. Earlier in the week, Italy’s government defied the EU’s request to revise its controversial. Italy’s budget, which focuses on government spending and borrowing, had previously been rejected by the EU. Italy’s leaders, including Prime Minister Giuseppe Conte and Deputy PM Luigi Di Maio, both said on Thursday that they were willing to work with the EU in order to avoid discipline. The EU has yet to announce its response to Italy’s stance on its budget plan. The Euro recovered slightly from its weakness earlier in the week, as investors focused on Pound weakness rather than Italy jitters. The Eurozone’s September trade balance report had little impact on the Euro. The surplus improved slightly, from €11.7b to €13.1b. 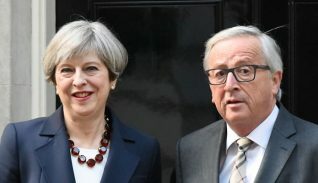 Brief hopes that the UK-EU Brexit process could finally come to a smooth end were doused on Thursday, as fears rose that numerous resignations in the UK government could undermine UK Prime Minister Theresa May’s plan. Dominic Raab, the ex-Brexit Secretary, resigned in the morning in protest of the negotiated UK-EU deal.. This was followed by other notable resignations. Following this, many hard Brexit supporting Conservative Party MPs began to hand in letters of no confidence in UK Prime Minister May’s leadership. News that UK retail sales unexpectedly contracted month-on-month in October only added to Thursday’s broad Pound selloff. Friday will see the publication of the Eurozone’s final October Consumer Price Index (CPI) inflation rate report – figures that would typically be highly influential for the Euro to Pound (EUR/GBP) exchange rate. However, amid the significant uncertainty and in UK politics, including the potential threat of a challenge to UK Prime Minister Theresa May’s leadership, the Pound is highly volatile and likely to remain in market focus. If the UK government continues to look less stable, fears will mount that the government’s negotiated Brexit deal could be undermined. This would worsen concerns that a worst-case scenario ‘no-deal Brexit’ could become reality. On the other hand, if Prime Minister May looks to avoid a potential no-confidence vote, the Pound could calm and focus would return to the remaining obstacles for the UK-EU Brexit deal. The Euro, on the other hand, is unlikely to be influential to EUR/GBP. However, major developments in Italy-EU tension could still cause some Euro to Pound (EUR/GBP) exchange rate movement.